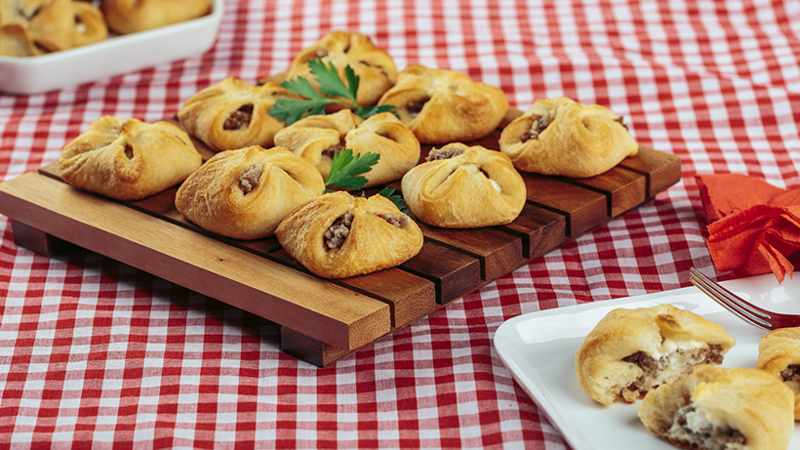 Our quick and delicious Gwaltney Sausage Cream Cheese Bites are a great snack for when the kids are home around the holidays. Heat oven to 375°F. Cook your Gwaltney Sausage over medium-high heat until no longer pink; drain. Unroll dough onto work surface. Firmly press perforations to seal. Use pizza cutter or sharp knife to cut 6 rows by 4 rows, making 24 squares. 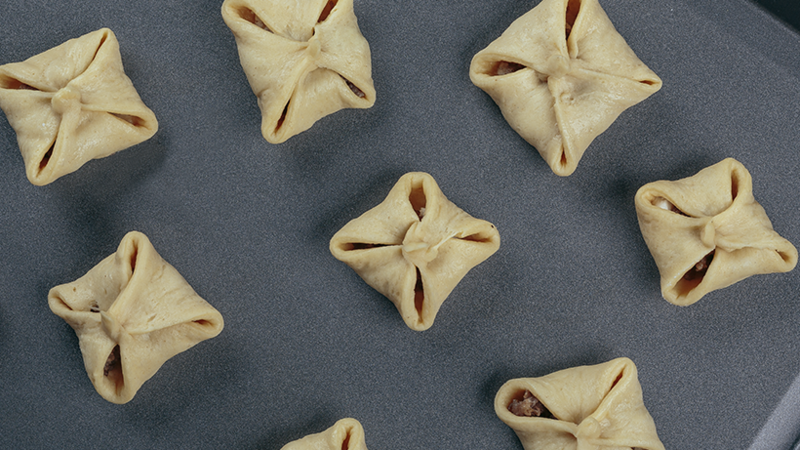 Place one scoop of sausage into the center of each dough square. Top with about 1 teaspoon of cream cheese. Wet edges with water before bringing 4 corners together to overlap slightly in the center of each bundle. Twist and pinch to seal, leaving small gaps between seams. Place on ungreased cookie sheet. Bake 10-14 minutes or until golden brown. Serve warm.